Why Does Everyone Hate The English? 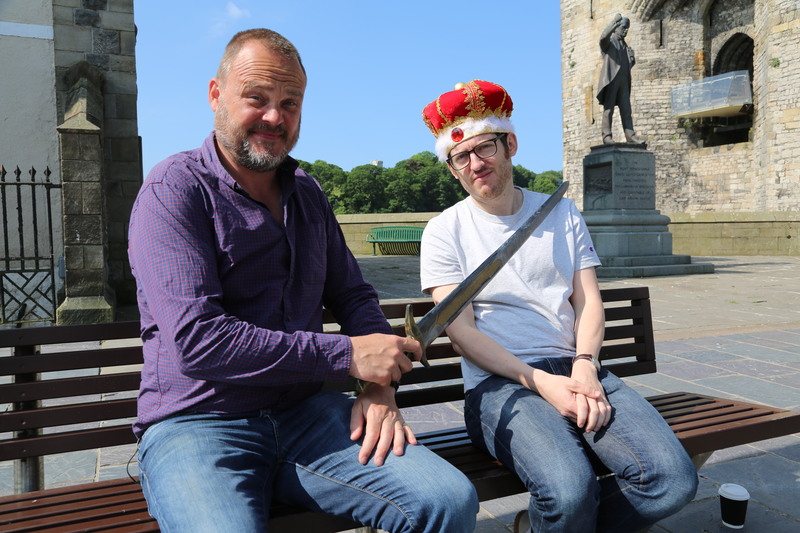 HISTORY® joins Al Murray to find out in new series. New research conducted in time for the second episode of the new HISTORY® TV series, Al Murray: Why Does Everyone Hate The English? (premieres on 15th October at 9pm), has revealed that football is one of the main reasons why Welsh people hate the English. The poll of 300 Welsh people revealed the thing they hate most about the English is football hooliganism, while an obsession with England’s 1966 World Cup win comes second. More than a quarter of Welsh people dislike English arrogance, while another annoyance was the country’s inability to cope with snowfall each year. An obsession with 1966 didn’t even rank in the top 20 things that English people thought other countries hated about them. When asked what other nationalities might hate about them, (1,200 English people polled) the top three presumptions were because they expect everyone else to speak English then binge drinking in at second with hooliganism at third. One quarter of Welsh people said they dislike the English, a similar proportion to the number of French people (26%), and considerably more than the 15% of Germans polled. One third of Welsh people said they didn’t like that the English are generally quite proud of who they are, although more than 90% of Welsh people said they were proud of their nationality. On a more positive note, Welsh people said they admired English people’s ability to laugh at themselves and their sense of humour, while also praising England for its great music. These were also the top traits English people predicted other countries would like about them. The research was commissioned by TV channel HISTORY® to mark the latest episode of new show Al Murray: Why Does Everyone Hate The English?, in which the comedian and history fanatic travels to England’s nearest neighbours to try to find out why everyone seems to hate them so much. In the second episode, which airs Monday at 9pm, Al is joined in Wales by radio presenter, cult podcaster, stand-up and hugely proud South Walian comedian Elis James. Al and Elis discuss some of the historic gripes that Wales and England’s lengthy shared history has developed including: the history of the Prince of Wales, Welsh clichés, and the Lyn Celyn Reservoir. They also discover the efforts undertaken to preserve the Welsh language and the origin of the term “sheep sh***er”.